Highland Future Brass are our junior section, is made up of brass players aged 8-12, and supported by Conductor Mark Bell, along with adult helpers who contribute to the music and help our young players in rehearsals. Set up in February 2016, the band has performed only a few times, with stand out moments being playing for Santa in Falcon Square in November, and taking part in the Scottish Concert Band Festival at Gordonstoun School. 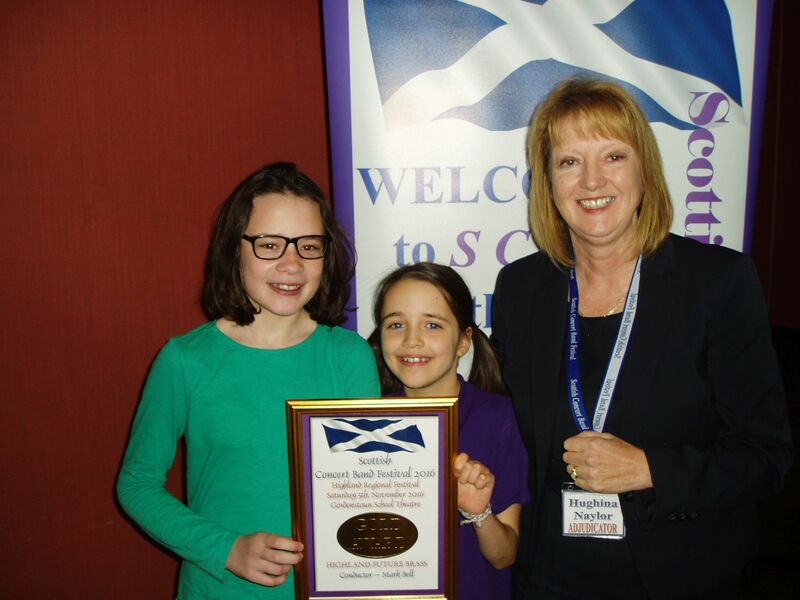 The band performed so well that we were awarded a GOLD award, which means that Highland Future Brass will perform at Perth Concert Hall at the National Finals, one year after we were formed. Highland Future Brass have been granted 13 instruments by the Scottish Brass Band Association as part of their Start up Grant initiative. We would like to use these instruments for beginners, and would love to hear from you if you would like to play an instrument. please contact us (details above) if you would like more information.